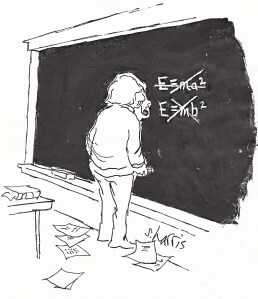 ← The big bang: is it true? This week the Program on Science , Technology and Society (STS) at Harvard is hosting a major conference. 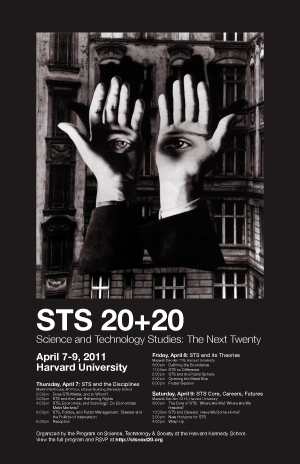 The conference STS 20+ 20: Science and Technology Studies : The Next Twenty, will run from Thursday May 7th until Saturday May 10th. The theme of the conference is “A Meeting Reflecting on the Past Twenty Years of STS Graduate Study, and Looking Ahead to the Next Twenty”. As a visiting fellow with the program, I am really looking forward to it. You can see the conference program here. Each day is based around a different theme; Day One will deal with the theme of disciplinarity (Does STS Matter, and to Whom? ), Day Two with STS theory, and Day Three with the future of the discipline (more details on this later). There will be 3-4 sessions per day, with leading thinkers in the field such as Sheila Jasanoff, Trevor Pinch, Stephen Hilgartner and Stephen Eptstein acting as Chairs and discussants. [This meeting is the product of a year of conversations across several continents and dozens of institutions. It weaves together the hopes, aspirations, and—yes—frustrations of STS scholars from around the world who have committed their careers to studying the central role of science and technology in our social, political, and moral lives. The meeting is in part a stock-taking. After two decades of increased public funding for STS, what can we say about our achievements as a “thought collective”? What have we learned from speaking the truths of our field to the power of established disciplines? Which areas of work do we recognize as displaying the greatest theoretical depth and creativity? What do we impart to STS scholars-in-the-making, and what can we do to ensure that their ideas are heard more widely and that they find appropriate academic homes? The three-day program addresses these questions: first, STS and the disciplines; second, STS and its theories; third, STS’s institutional challenges and opportunities. In part, too, the meeting is a provocation: an invitation to reflect on the conditions needed for this field to thrive and grow—in keeping with the importance of its mission. As with any provocation, the questions we hope to explore may have conflicting answers. Ideas will be generated throughout the meeting from both our physical and virtual audiences. This website, managed by a local team of scholars, is part of an effort to make the meeting as inclusive and participatory as possible, both during the event and after it.